Conocephalus fasciatus (Slender Meadow Katydid) ♀. 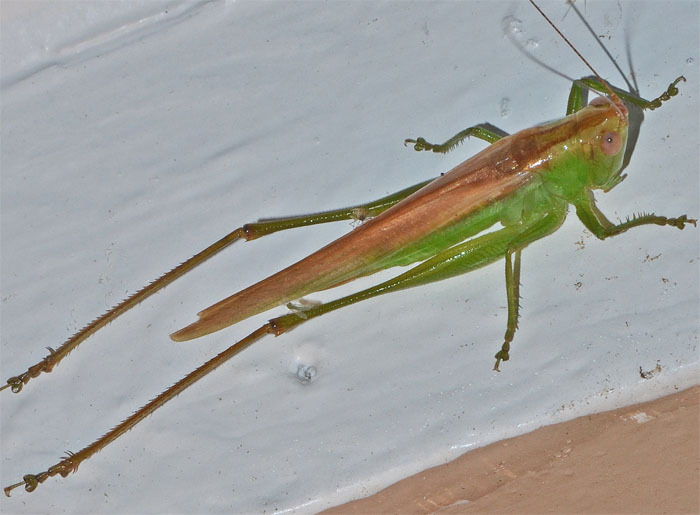 Conocephalus fasciatus fasciatus is a large but slender, green and brown katydid that can be found across the US in grassy areas (fields, meadows, open woodlands). It has long and narrow wings that extend well beyond its posterior.